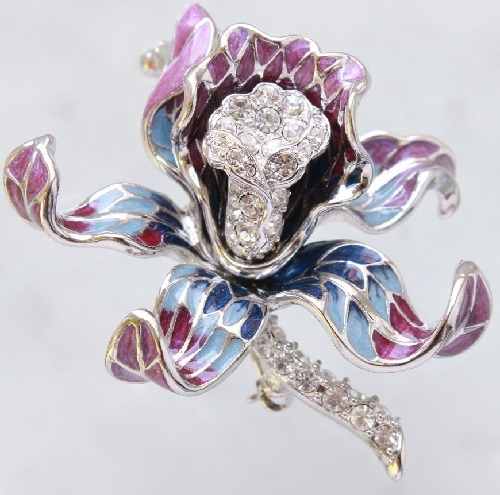 A symbol of beauty and love, Orchid has always attracted the attention of jewelers and collectors. The flower of Passion. 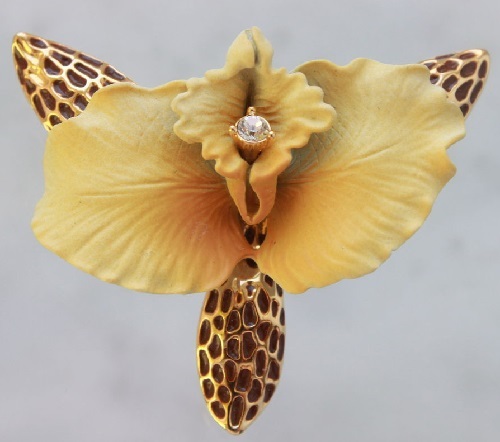 Indeed, there is something attractive in its forms, reminiscent of the curves of the female body … Orchid is perfection, grandeur and luxury, subtle beauty, love, tenderness, and intimacy. Orchids are given to only loved ones. 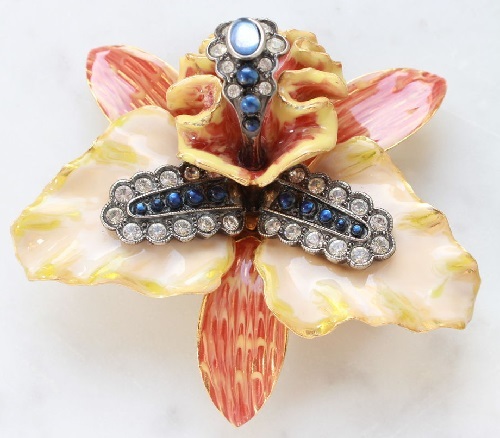 And if you want to surprise your loved one, the orchid inspired brooch is just what you need! 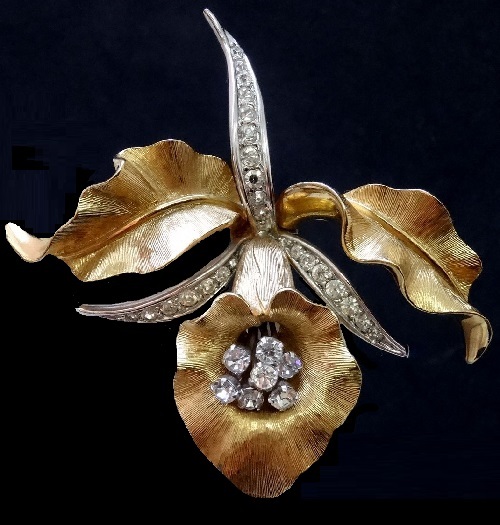 At all times, the orchid is a symbol of sophistication, wisdom, and gentility. Orchid often symbolizes love, beauty and harmony, and family comfort. 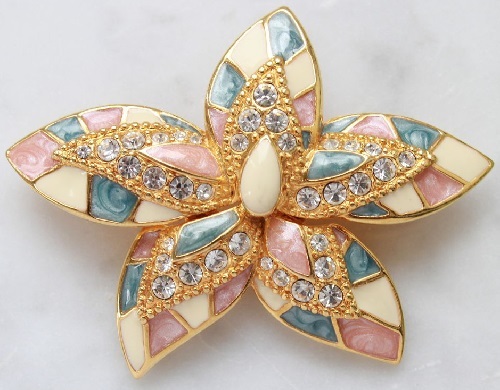 Besides, white orchid symbolizes pure love, and variegated – longing. 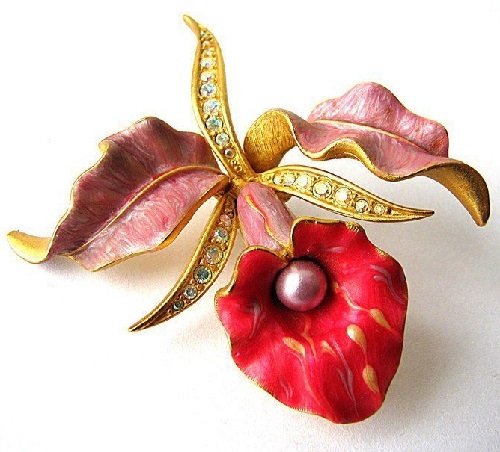 Pink fine orchid petals mean pure affection. 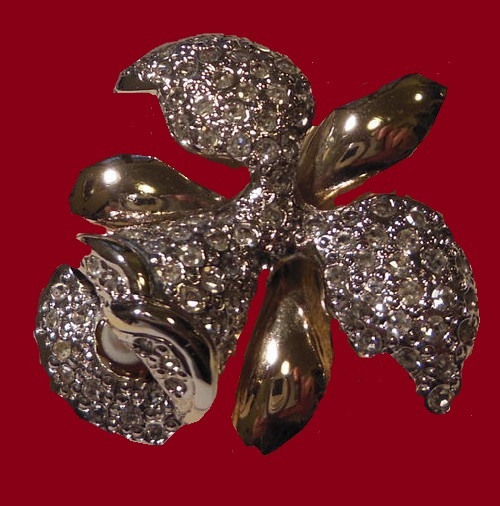 And Orchid in a bouquet – a symbol of love, refinement and … large families. 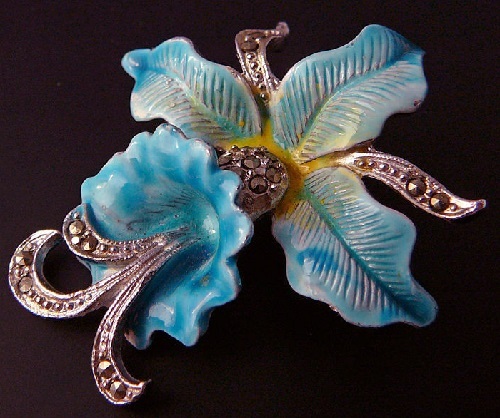 Orchids are considered to be a symbol of men, surpassing all others. Such a gift is a choice of coldly rational natures, seeking to reach the ideal in everything. 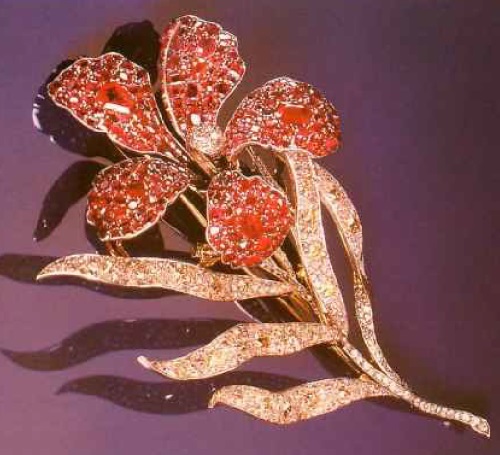 According to Feng shui, Orchids with dark red flowers nourish the creative inspiration. They make people act and create in one breath, in unison, giving all thoughts to the creative work. Dark red flowers are needed for those who are mulling a plan of action too long before proceeding to the actual implementation of it. The Chinese called orchid “Lan”. This word was used to emphasize the “superior male qualities”, in addition to the “strong”, “mature”, “handsome”, and also elegance and beauty of feminine qualities – “elegant woman”. 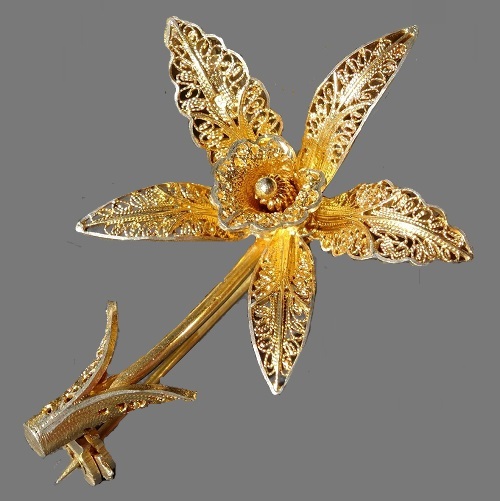 In China, an elegant orchid flower symbolizes: spring, harmony, refinement, elegance and protection, wealth, the perfect man, as well as friendship, love, beauty, feminine charm, seclusion of a scientist. 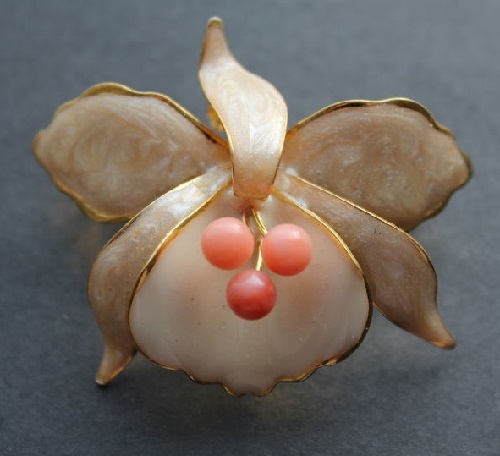 Orchid is also a symbol of fertility and talisman against impotence. According to the lunar calendar in Vietnam, Orchid blossoms on the eve of the New Year, and after that the spring comes. Therefore, these flowers are a symbol of spring. 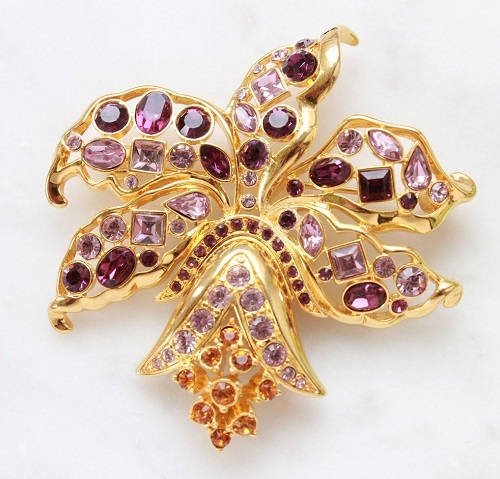 For the Vietnamese, orchid flower symbolizes youth and love, as well as elegance. 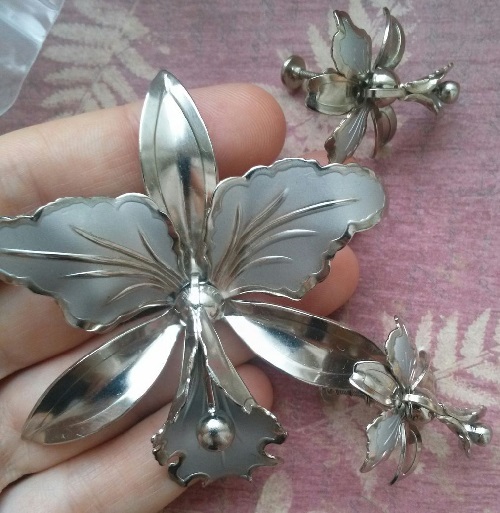 It is believed that the scent of this flower gives bouquet a passionate tone. Looking at these flowers, you can agree with this interpretation. Latin name Orchidaceae means roughly as “descended from God.” Orchid – flower of joy, born of the pieces of the first rainbow. That’s what New Zealand myth says about this. Long ago, when life on Earth was in its infancy, one ray of sunshine was very bored in the clouds, that ray thought – what if I try to break through the clouds, because there is something very interesting there. Without much thought, a ray tried – and that’s how a rainbow appeared in the sky. The appearance of such a miracle in the sky, of course, could not go unnoticed and drew attention of the immortal spirits who flocked from all corners of the earth, climbed upon the rainbow and had fun, singing in unison. They sang in unison so that a rainbow could not stand such gravity and collapsed. It fell onto the ground, with sparkling in the sun shimmering multi-colored pieces. 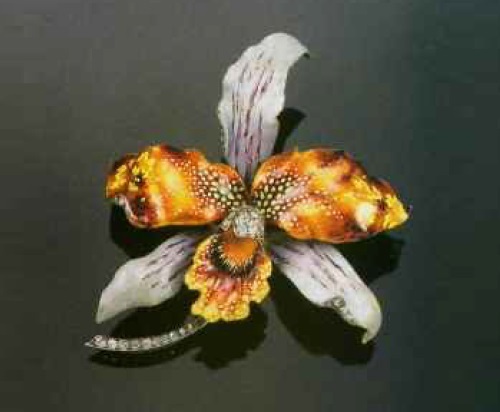 And each of the fragments in an instant turned into a beautiful orchid, which pleases us with its beauty to this day!